When couples have businesses and decide to divorce they are often surprised that the businesses they feel have little to no value actually are quite valuable. Valuing business assets in a divorce is a complex endeavor. People are often surprised to learn that the business, or some interest in it, is part of the marital property subject to equitable distribution. Equitable distribution and marital property are more thoroughly defined in the state statutes. In order to divide the business assets for purposes of divorce may vary by state. First, a value must first be assigned to the business. It is important to keep in mind that not only the tangible assets, such as cash, furniture, and inventory must be valued, but also intangible assets such as trademarks, patents, and goodwill. Valuing a business is complex and typically requires the use of experts and appraisers by each party in high-value cases. These professionals are usually Certified Business Appraisers or, sometimes, Certified Public Accountants. These experts, independently retained by each party, will be responsible for valuing the business and later testifying to their own processes and findings, as well as offering opinions on the findings of the opposing expert. Often, the parties disagree as to the value of the business and it is left to the courts to assign the value; a process wherein they have wide discretion. Keep in mind that the party keeping the business will maintain that the value is low, while the opposing party, the one being “bought out”, will contend the value is much higher. If the business or business interest existed prior to the marriage, the party keeping the business (presumably the one with the interest prior to the marriage) will contend that the business has not gained much, if any, value from the date of marriage to date of separation, while the party being bought out will maintain that the bulk of the value of the business was gained during the marriage as a direct result of their combined efforts during the marriage. Before assigning a value to the assets of a business, a valuation date must be selected. Sometimes the parties agree on this date, and sometimes they don’t. If the parties can’t agree, the judge will choose a valuation date that will be most equitable to the parties. These dates could range anywhere from the date of marriage, to the date of separation, to the date of the divorce filing. The date of separation may seem an obvious choice for the valuation date, but the value of the business on that date is not always what is most equitable to the parties. For instance, if the business interest existed prior to the marriage, the business should be valued as of the date of marriage AND as of the date of separation and any appreciation during that period should be considered marital. The date of the filing of divorce is also not always the most equitable. If the business was worth $1.3 million on the date of separation and only worth $250,000 on the date of the divorce filing due to the active depreciation of the business by the controlling spouse, the court should consider the value on the date of separation. Sometimes, the court does not select a valuation date prior to the valuing of the business, leading the experts to use different valuation dates and deliver markedly different valuations. The court must then use its discretion to determine which, if either, the value is most appropriate for equitable distribution purposes. Once a valuation date is decided upon (by the courts or the individual appraisers), there are three approaches to valuing the assets: the asset approach, the market approach, and the income approach. The asset approach in its simplest form is Business Assets – Business Liabilities = Business Value. While this seems like an easy, straightforward approach, it can be incredibly complex. As we discussed earlier, assets include BOTH tangible and intangible assets. While it may be simple to find the book value of the conference room table and cash (both tangible assets), it is considerably more difficult to assign the book value of intangible assets like goodwill. Further, the book value of some assets, such as inventory, property, and equipment, varies greatly from the actual value of the asset to the business. Inventory, for instance, is typically valued at cost, but depending on the type and age of the inventory the actual value is frequently not equivalent to the book value. Perhaps the most difficult part of the asset approach is that it leaves no room for valuation of unrecorded assets or liabilities – these can include goodwill and intellectual property, which are often among the most valuable assets. The asset approach typically works best for a small business where there are few intangibles to be valued. The income approach is the most widely used approach for the valuation of a business. Historical income information, future income projections, and a variety of formulas are used in reaching a valuation based on this method. The formulas vary, but the most commonly used are the capitalized cash flow method, the discounted cash flow method, and excess cash flow method. Using these methods requires experts to determine future income (economic benefit) as well as assign a rate of return or risk that will affect the projected income. The market approach determines the value of a business based on the “market” – the amount which other, comparable businesses have sold. You are likely familiar with this approach because it is much like determining the value of a vehicle or house based on the amount for which similar ones have recently sold, commonly referred to as “comps”. While the process is similar and, therefore, easy to understand, it is often incredibly difficult to find a business that sold that is truly comparable in business type, size, location, sales, and profits. Once an expert decides which method to use, there is an array of other components, analysis, and adjustments that must come into play before a final value is reached. Ultimately, the court has wide and final discretion on what value to assign to the business. 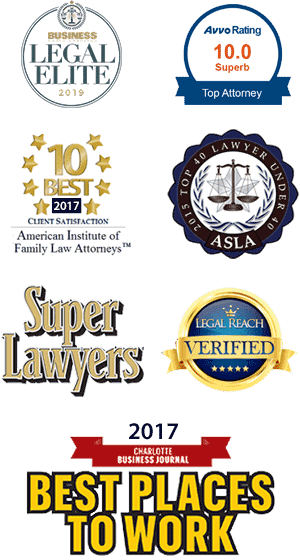 It is imperative to your case to choose an attorney that is knowledgeable in business valuations and can lead you to the right expert for the job.